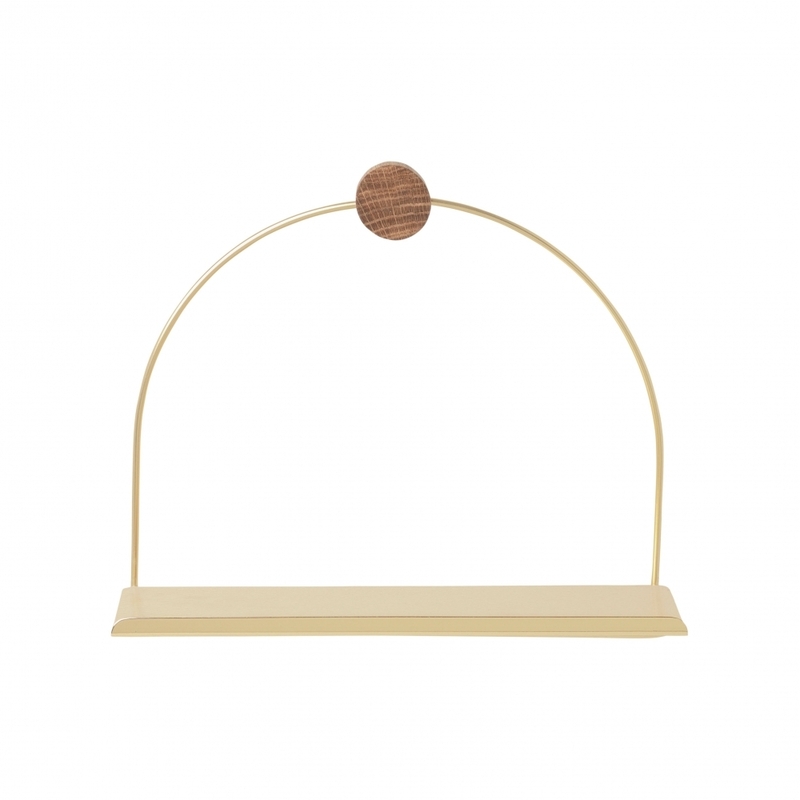 This stylish Brass Hanging Bathroom Shelf by Ferm Living is ideal for displaying your favourite perfumes or beauty essentials on. Made from powder coated metal and wood, this shelf has a minimalist and timeless look, making it a perfect addition to many contemporary bathrooms. It is hung on the wall using the wooden hook which covers the mounting beautifully. Find more homewares from Ferm Living for matching accessories.